To be a partner in the design and production of professional espresso machines. To build up a network of relationships based on trust, commitment and shared objectives. To offer a training and assistance service that will foster the growth of professionalism in the industry and therefore, disseminate the culture of coffee throughout the world. We have based our identity on the emotions aroused by a great espresso. Experience, technology, innovation, and design are the means we use to convey this. 1936 – Cessapalombo, Orlando Simonelli makes his first espresso machine, which he names “1936”, after the year of manufacture. This is already an innovative machine for the period, and technically at the forefront of its kind. 1946 – The company moves to Tolentino, where production is increased and sales expand to cover the whole of central Italy. 1950 – Simonelli starts production of the “Selene” coffee machine; a technological revolution because it is the world’s first machine with continuous delivery (equipped with a hydraulic pump). 1969 – Following a “management buyout”, the company changes ownership, going from “Simonelli” to“Nuova Simonelli”. 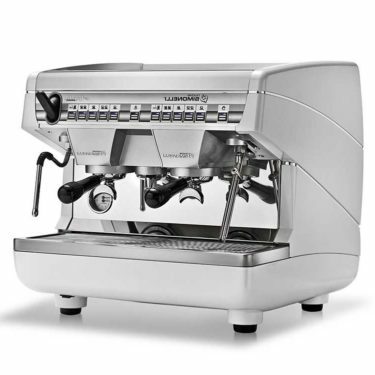 1975 – With the production of the “ISX”, Nuova Simonelli introduces electronics to its espresso machines. 1976 – The company moves to new headquarters, with annexed factory in Belforte del Chienti (current administrative headquarters). 1984 – The arrival of the first superautomatic with the Nuova Simonelli brand. Its name is “Logica” and it is an extremely innovative machine – all that is needed is the push of a button and the machine will do the rest. This category of machines is so easy to use that it breaks the ground for new markets. 1985 – The “Program“, the first traditional coffee machine with its very own “onboard computer”. 1993 – Following Nuova Simonelli’s consolidation of its presence on export markets, the company sets up its own USA Division located in Ferndale, in the State of Washington. 2001 – Nuova Simonelli takes over the prestigious and historic brand “Victoria Arduino”, making it a leading force in the “luxury” sector too. 2003 – On occasion of the Host expo in Milan, Nuova Simonelli presents two totally new products on the market: Aurelia and Microbar. 2005 – Inauguration of the new production plant in Fonte Moreto (Belforte del Chienti), which covers an area of 20 thousand square metres and is able to manufacture a machine every 4 minutes. 2006 – Nuova Simonelli celebrates 70 years in business with the founding of “Espresso Ideas“, a modern magazine packed with “ideas” for the best operators in the industry. 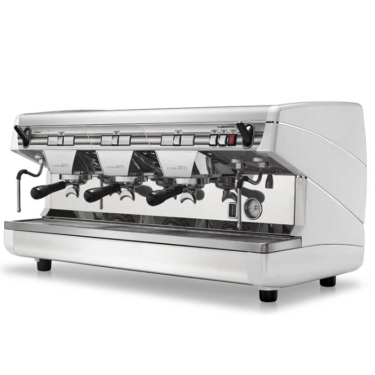 2008 – Aurelia is selected as the official machine for the World Barista Championship. 2009 – Gwilym Davies wins the WBC Championship with the Aurelia Competizione at the WBC in Atlanta. 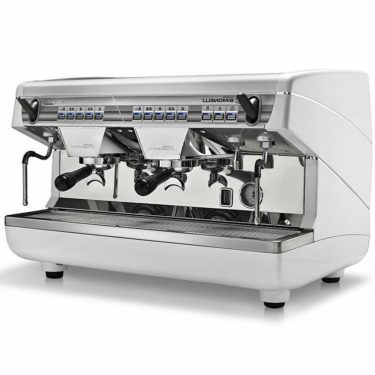 2011 – Nuova Simonelli has presented the innovative T3 technology that grant maximum thermal stability through a tridimensional temperaure control (water, steam, group). 2013 – In Mythos One ‘On Demand’ the innovative intelligent management of milling chamber temperature ensures a constant dose and therefore a better quality of espresso extraction. 2014 – The World Coffee Events has selected Nuova Simonelli as 2015-2017 WBC partner with the VA388 Black Eagle, the new Victoria Arduino espresso machine. We offer an opportunity to take advantage of some discounts on our Nuova Simonelli cafe coffee machines Australia, Brisbane, Sydney, Melbourne, Perth. Call Us Today!